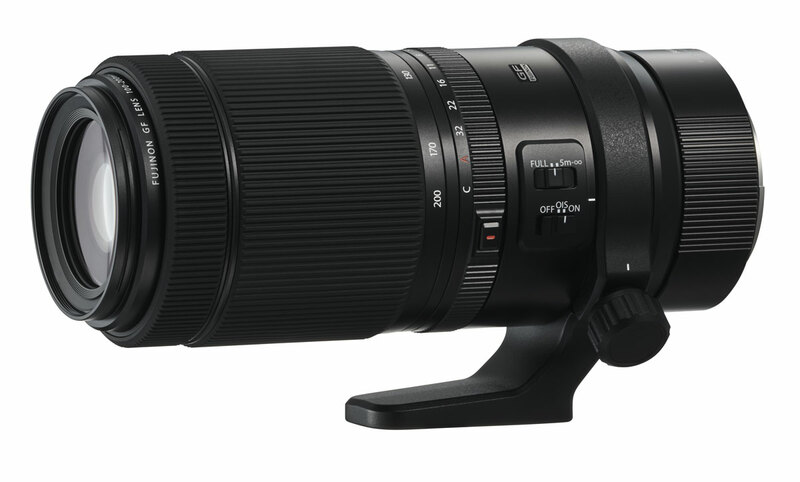 Fujifilm has unveiled the Fujinon GF 100-200mm f5.6 RLM OIS WR, the first telephoto zoom lens for the GFX medium format system. It will be available from mid-February with an RRP of $3199. Attached to either GFX bodies, the lens has a 35mm equivalent focal length of 79 – 158mm. Attach the GF1.4X TC WR teleconverter and the range extends to 140-280mm (111-221mm in 35mm format). The lens is made up of 20 elements in 13 groups, including two super ED lenses and one aspherical lens which reduces chromatic and field curvature aberrations. A linear motor drives the focus lenses for accurate, quick and quiet autofocus. This is locked when the camera is turned off to prevent additional vibrations. The lens is sealed in 10 areas to provide dust and weather resistance, and can handle temperatures as low as -10°C. Click here for the full press release and spec sheet.